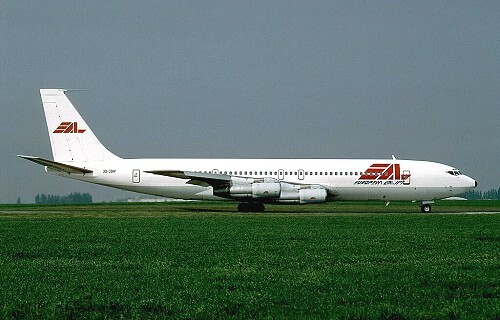 History: European Airlift (EAL) was formed on August 8 1990 by Luc Mellaerts and some business partners in Zaïre to operate world-wide pax & cargo charters. Two aircraft were leased from parent company Scibe Zaïre and one from UTA. During 1994 flying operations ceased and EAL was declared bankrupt on April 7 1994. The French DC10 would later see life as OO-JOT with another project of Mellaerts: ChallengAir.